It's just a few months since Lars Eric Mattsson released his latest album Sand And Blood, now he presents Vicky's Eyes. The single was written for a Spanish movie project which never got realized and so Lars Eric Mattsson wrote new lyrics and renamed the track. The ballad is based on a thick bass line, melodic guitar lines and Mattsson's vocals. A kind of powerful singer / songwriter tune with a dash pop and inspiration from Spanish folk guitars. The lyrics are partly in Spanish which gives it a different twist. 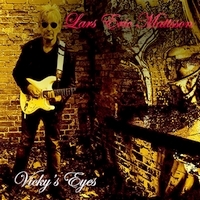 Lars Eric Mattsson's Vision has released several albums which are now re-issued by Lion Music. This time it's the 2004 release On The Edge which was overdone. Mr. Mattsson war unhappy with some aspects of the original recordings and so vocals been re-recorded as well as some guitars, bass and keyboard parts. Unfortunately I don't know the original release, so I can't tell you how much changed. They kick off with the rocker Mountain Of Love, a melodic rocker á la early Rainbow. At Girl Goodbye the neo-classical guitar meets AOR Scandinavian style. A keyboard-laden ballad is Prove It To You, but with a powerful guitar. A prominent bass line leads you into the title track On The Edge. The song has an 80's feeling and reminds me of some track... but I can't fathom it. One of the highlights is Stranded which is based on a heavy riff, but offers a good hookline - and surprises with a Oriental influenced guitar passage which leads into a short neo-classical part. Another of my faves is Keepin' Your Dreams Alive, again the bass is prominent and gives the tune a funky edge. Actually the songs later in the album are stronger, but well. More songs like Stranded or Keepin' Your Dreams Alive would have done the album good. Anyway, it's a decent album. The album offers melodic rock / AOR and sounds quite 80's like, even if it was initially released in 2004. Fans of AOR should check it out, even if you know the original release. 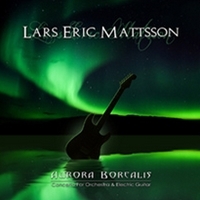 Lars Eric Mattsson's album Aurora Borealis is Lion Music 300th release and to celebrate this anniversary they release a special album. Mr. Mattsson composed an album which melts together metal with orchestral sounds. The guitar dominates the sound, but it's like you listened to a guitar wiz playing Vivaldi, Bach, Telemann & co. Sure, this isn't something completely new, e.g. Uli John Roth did it. But Mr. Mattsson manages to give the songs a light feeling. Aurora Borealis starts with Rising and like an orchestral piece, but when guitar & co. set in becomes a vivid journey. The opener makes me think of classic composer Vivaldi... The tune has a positive vibe. Next in line is Bounce which seems to revive the days of Johann Sebastian Bach incl. spinet, flute and string arrangements. At the middle part of the tune the guitar takes over the lead, but connects the musical past with nowadays guitar play. With Cold Water Spirit the mood changes, the track has a dark, dramatic feel to it. To support this feeling cello and - I think - oboe join in. Forward Thinking is offering a haunting violin melody which is accompanied by Mattsson's guitar. Revolutionary Star is adding new sound to the mix... some prog / fusion elements, but some parts have a Baroque feel. Interesting. With The Heart a very emotional, balladesque tune follows. Compared with Revolutionary Star it's almost minimalistic, even if it sounds rich. I know this sounds like a contradiction, but I can't find better words to explain this. Definitely one of the highlights and among my personal favorites. A bit of Telemann - and perhaps Händel - I seem to hear in Eternal Cycles, but I might be wrong, coz I'm absolutely no expert in this field. Planetary Strength is rock meets classic. The opening passage reminds me a bit of Mozart's The Magic Flute... A roller coaster ride, but a very enjoyable one. Parisienne Etude is just an interlude. Midnight Sun is another metal meets classic, but in a different way. I can recommend this album to metal fans who like neo-classical metal, but also to metal fans who aren't fans of instrumental albums. Give it a try! 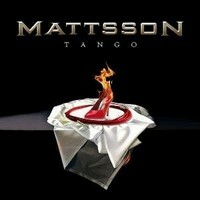 Lars Eric Mattson presents Tango, his 5th album. On 7 songs Adrienn Antal sings, who was already did Dreamchild in 2008 with Mattsson and at some songs Status Minor singer Markku Kuikka joins in. The opener Never Stand Down introduces Adrienn Antal, a symphonic progressive tune. Some complex passages are woven into the symphonic sound, but you'll also find a short reggae reference as well as prog / art rock elements. And the song has some catchy melodies to hook up the listener. At Believe Markku Kuikka joins Adrienn Antal in this catchy symphonic melodic metal tune where Mr. Mattsson shows that he knows well to balance catchiness and showing off skills. Lars Eric Mattsson plays all instruments beside drums and percussion which were done by Eddie Sledgehammer. At Tango he combines a tango rhythm with symphonic sounds and lascivious vocals of Adrienn. With more then 10 minutes The Grand Escape is a kind of short rock opera which takes you onto a sonic journey incl. spacy and Oriental sounds. 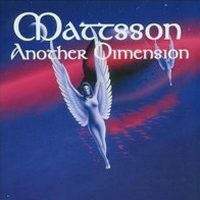 Hopefully Mattsson will do another concept album after War, a full rock opera one day. At the heavy, riff-based progressive tune Shadows Markku Kuikka takes over the lead vocals. Some kind of progressive power metal. At The Fire Is Burning Mr. Mattsson takes over the lead vocals on this neo-classical one. The instrumental Tour De Force gives Mattsson space to pursue different ways. The closer Slave To The Road is a bluesy tune which is a nice closer. A really enjoyable tune! Lars Eric Mattsson proofs that you can combine virtuosity with melody, that progressiveness and heavy riffs move along well symphonic elements. Tango offers a lot of different sounds, but sounds homogenous as well. The voices of Adrienn Antal and Markku Kuikka match well and the singers can give the compositions something special. Kudos! Wow, this man is multilateral! I'm talking about the Finnish multi-talent Lars Eric Mattsson who keep himself on topic in 2000 with another release. Since he released his debut album back in 1987 Mattsson released several CDs and tried everything from traditional blues to AOR. Now after being successful world-wide - from Japan to the USA - he now released another album which offers more then 70 minutes of music with 14 faceted compositions from the untiring musician. With the opening track Hell they start right away, just to slow down with track no. 2 which is Crash And Burn. Then he speeds up again and but slows down again and give the listener a break. Mr. Mattsson plays all guitars, bass and keyboards on his own, sometimes slow, sometimes more rocking. The rocking vocals are done by the Swedish Bjorn Lodin who was the singer of Baltimore. Drums and percussion are done by Eddie Sledgehammer while the backing vocals are done by Ella Grussner and Cockie Sarling. Beside that Mattsson have several guests on his album like Patrick Rondat (former Jean Michel Jarre guitarist) and so adds a special touch to his compositions.